A murder suspect was shot and killed by California sheriff's deputies Saturday, concluding a weeks-long manhunt, according to police. 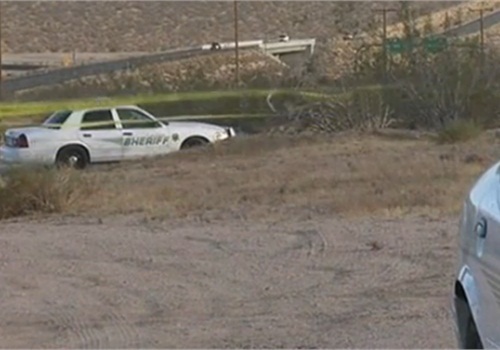 Benjamin Peter Ashley was shot and killed just after 5 p.m. in Inyokern, according to the Kern County Coroner's Office. Ashley, 34, is suspected of killing one man, kidnapping three others and wounding two sheriff's deputies in a spree of violence last month, NBC News reports. Authorities had said they believed Ashley was hiding in a remote area east of Bakersfield, California. The shooting in Inyokern took place about 40 miles from where police had centered their search for Ashley. Kern County Sheriff Donny Youngblood said Saturday that police got a tip that the suspect was in a local mini mart. Responding officers found a man walking on a dirt road nearby.